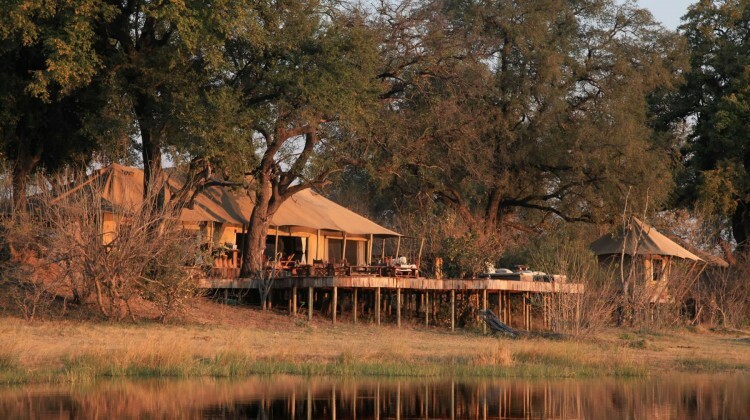 My recent trip to Botswana took me through the whole range of accommodation styles, activities and wildlife on offer in this safari wonderland. I could write pages on the whole experience but in the end decided the best way to break it down to manageable chunks was to look at some of the distinct areas you find here. Just the name evokes thoughts of vast floodplains supporting an amazing amount of wildlife. 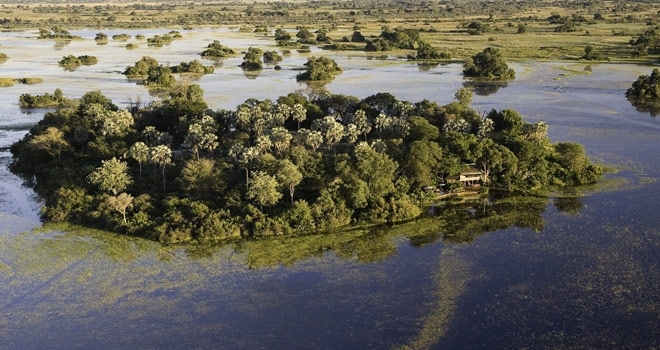 A unique combination of papyrus-lined waterways, knee-deep floodplains, forest glades and savannah grassland, the Delta is a must-see on any safari to Botswana. Most memorable experience: Flying by private helicopter from Vumbura Plains to Tubu Tree Camp, cruising at 150 feet above water level. Whether by light aircraft or helicopter, having the opportunity to see the scale of this magnificent ecosystem from the air simply mustn’t be missed. 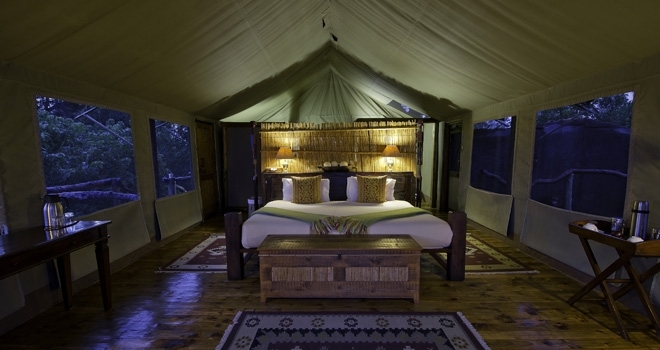 Favourite Camp: Tubu Tree Camp Located on Hunda Island. Exceptional game viewing. Only five tents, creating an intimate environment. Wide range of water and land activities between May and October. Possibly the best day and night game drives on the continent. The Linyanti Region was the biggest surprise of my trip. Diverse, with marshes, lagoons, rivers, jackalberry and sausage tree woodland. 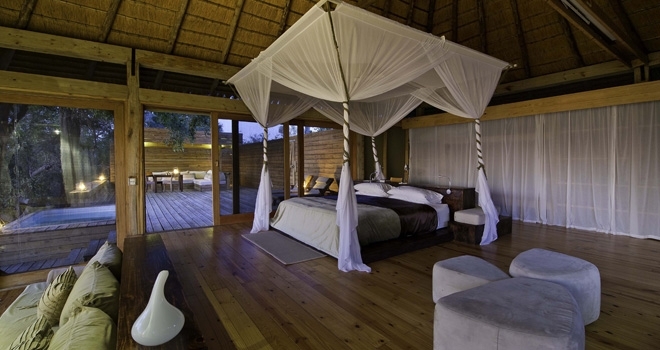 I had an accurate idea of what the Okavango Delta, Kalahari Desert and Chobe National Park were going to be like. But my expectations of Linyanti were harder to pin down. It’s no exaggeration to say I had the best game viewing of my trip here. The sheer density of wildlife was awesome. 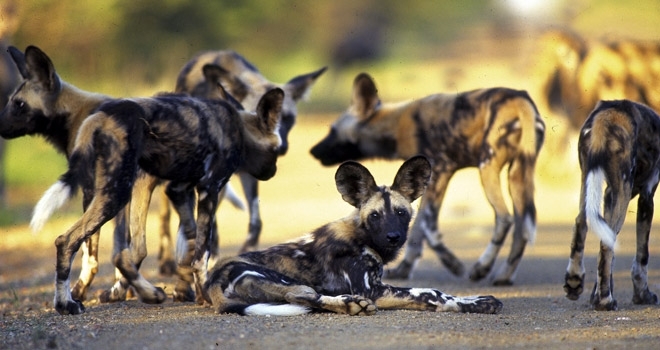 Apart from the usual suspects – elephant, zebra, lion, buffalo, leopard and hippo, this must be one of the best regions in which to see wild dog. There’s an interesting array of more unusual species too, such as the sitatunga antelope which, if frightened, will submerge itself under water until danger has passed. Most memorable moment: I was all set to go on my first bush walk in Botswana. Stepping out of the mess tent at Linyanti Bush Camp, our small group all but bumped into the business end (the front, for those wondering) of a large bull elephant. It turned out that ‘Tiny’, as he was known, was a frequent visitor. He much enjoyed the camp potpourris to which he helped himself before meandering off, leaving us a safe but exhilarating distance behind. Famous for enormous elephant populations, Chobe did not disappoint. 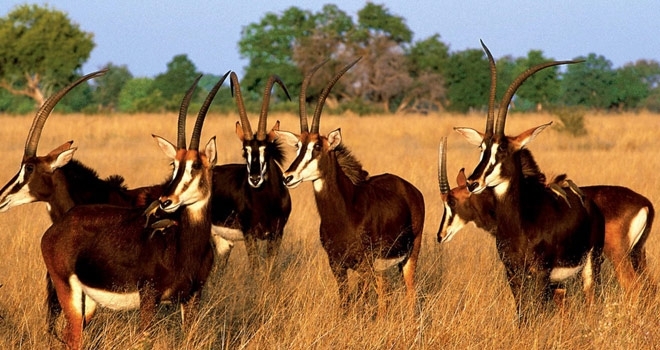 Predominantly mopane woodland, sandveld, floodplain, grassland and riverine woodland, Chobe is an enormous park. I experienced the best birding I have ever done here. We stopped at a waterhole to try and identify and tick a bird off our species list – often quite difficult due to the sheer numbers involved. Most memorable experience: Being in a National Park and so restricted to designated tracks, I rather assumed that I wouldn’t see game close enough to warrant taking my camera, so chose to leave it at camp and just enjoy my surroundings. So it was with a mixture of delight and frustration that we rounded a corner to spot a leopard slumped, panting, just 30 feet away. Of course I grabbed for my not there camera. I convinced myself that, as this was the fifth leopard I’d seen in three days, not having a camera was OK. It was then that I noticed a kill at its feet. The strength this leopard demonstrated as it grabbed the impala. In one smooth motion hauled it way up the adjacent tree was mind-blowing. Actually seeing this feat of strength, agility and balance take place to protect its kill from other predators is fantastic. I didn’t leave my camera behind again. The existence of the Makgadikgadi Pans was unknown to me until the Top Gear team Clarkson, Hammond and May undertook a bid to cross the vast salt pans of the Kalahari Desert for a BBC Top Gear special. I defy anyone to see images of this landscape and not feel a need to experience it. I’d hoped to end my trip on a high and the Pans exceeded expectations. As if I hadn’t seen enough superb game already, spotting lesser known species like brown hyena was welcome. As was the surprising array of bird life. How the dry environment with varying temperatures (from below freezing to above 50°C) supports the second largest zebra and wildebeest migration on the Continent defies nature. Aside from the fauna, the flora ranges from the sublime to the ridiculous too. The ridiculous being Chapman’s baobab, considered to be the third largest tree in Africa. 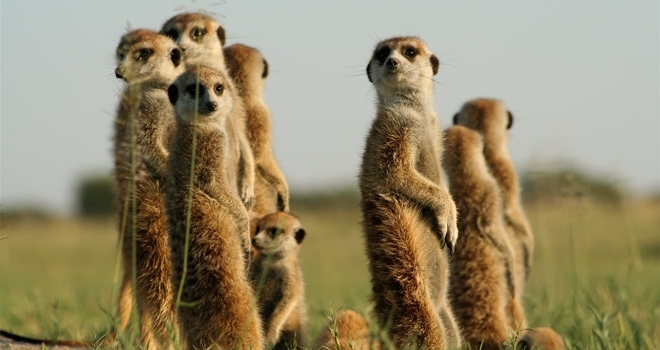 Most memorable moment: Spending a morning with habituated meerkats is something I’ll never forget. Arriving before they emerge from their dens, you choose a small mound on which to perch, hoping to attract the meerkats on sentry duty to climb on you as a handy lookout point. After 30 minutes or so of clambering about, they leave on their morning breakfast mission to make a dent in the scorpion population. Walking amongst them as they chatter, stepping over them as they crunch on tasty creatures, and watching their own interactions and relationships tops the list of my most memorable moments from the whole Botswana trip. Marvellous! 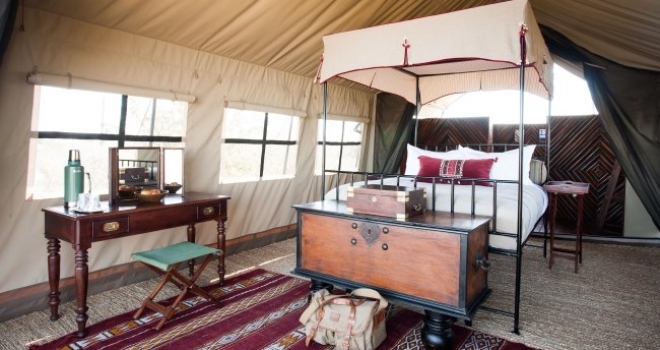 Favourite Camp: Camp Kalahari Just 10 tents including a family tent. Quad biking on salt pans in the dry season between mid-April – end October. Zebra and wildebeest migration in wet season between November and April. Chapman’s baobab, meerkat interaction, game drives, night drives, walks with the Zu/’hoasi bushman all year round. Beautiful camp, wonderful hosting and delicious food. 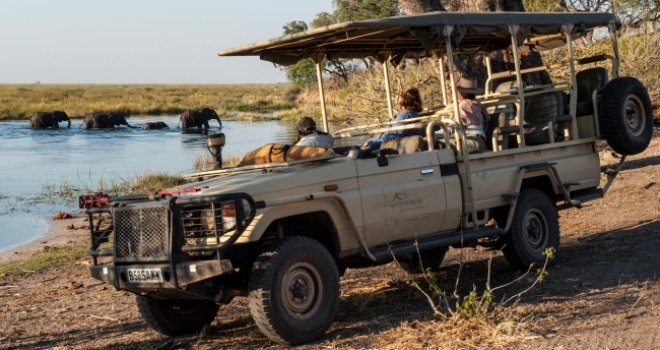 To sum up, Botswana invites terms like ‘the best safari destination in Africa’ and it’s difficult to visit without a certain amount of expectation. Well, in my opinion, it lives up to its name and certainly fulfilled my idea of a truly classic safari destination. 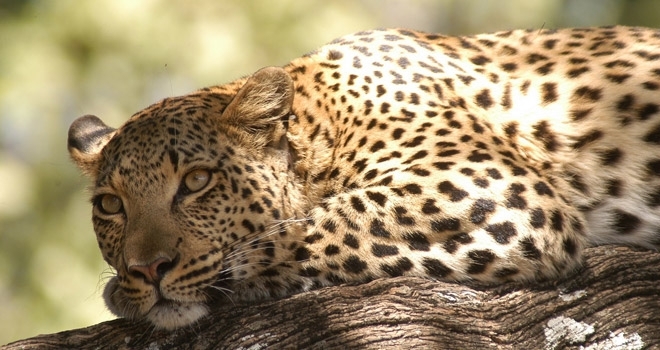 If you’ve got questions, or you think there’s something more about Botswana safaris that we should have included, please ask in the comments section below, or pop us an email. We’ll be sure to reply and may amend the article to include our answer. We would be delighted to help you plan a holiday, or answer any questions if you’re at an earlier stage. 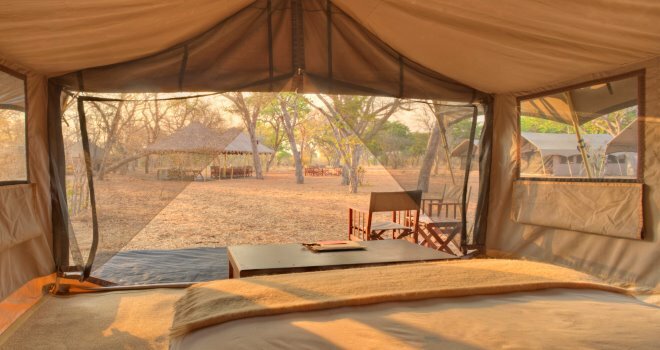 Our team of experts have travelled widely throughout Africa and can offer expert advice on every type of safari from family and beach holidays to riding and primate safaris. If you would like to talk to someone who has been there and done it, please give us a call or drop us an email and we will do the rest.